Advanced recovery for pain and inflammation. 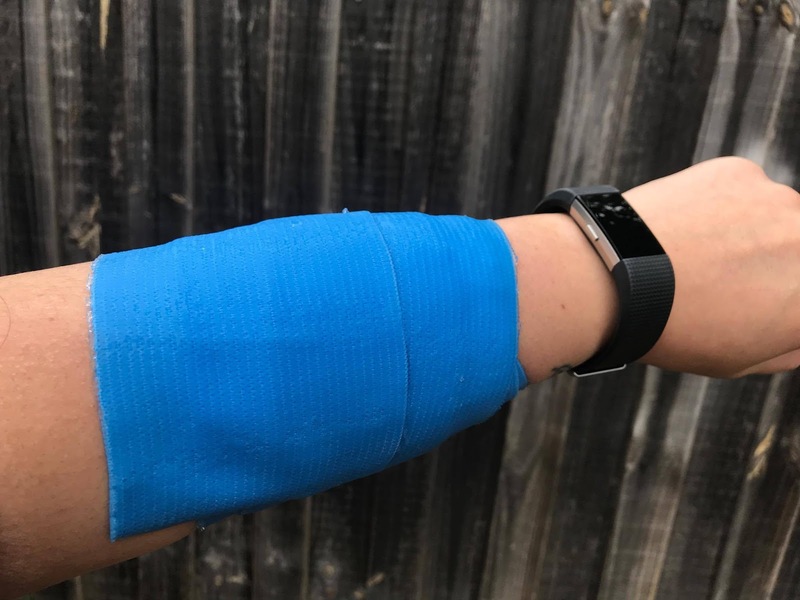 Gone are the days when you need to get wet flannels or the ice pack from the fridge to put on sprains, sores and hurts. Many research studies have found that infact these are not good ways to manage those sorts of conditions. CoolXChange is the perfect solution in my opinion being that it doesn’t need to be chilled, the gel contains the cooling agent so it’s always cold when required. 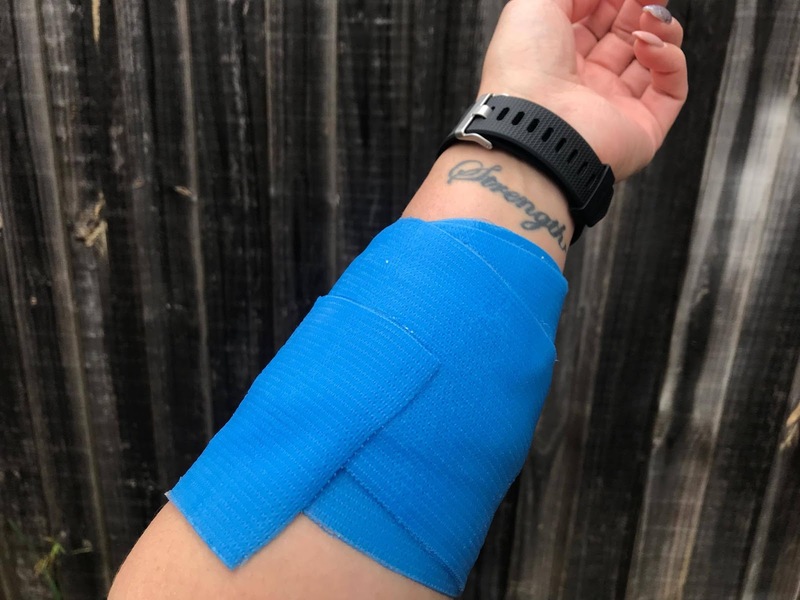 It's reusable, resealable and comes in a bandage compression. It's everything you need in one. 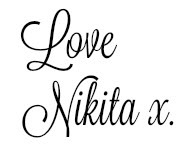 My initial thoughts when reading and looking at the CoolXChange was this is going to be messy... BUT do not be fooled. The bandage has a gel coat around it that is non sticky based and is not wet at all, it is self adhesive also. Simply take the bandage from it's plastic pouch and apply to the area of need for up to 2 hours. Once finished simply wrap it back around it's plastic roll and pop back into the plastic pouch for next time. Even after taking the Cool Xchange off of your skin there is no residue left what so ever on the skin, not even feeling damp. In a nutshell - CoolXChange is a double agent of compression and cooling at the same time. When needing to treat the area with R.I.C.E you can easily call on CoolXChange. 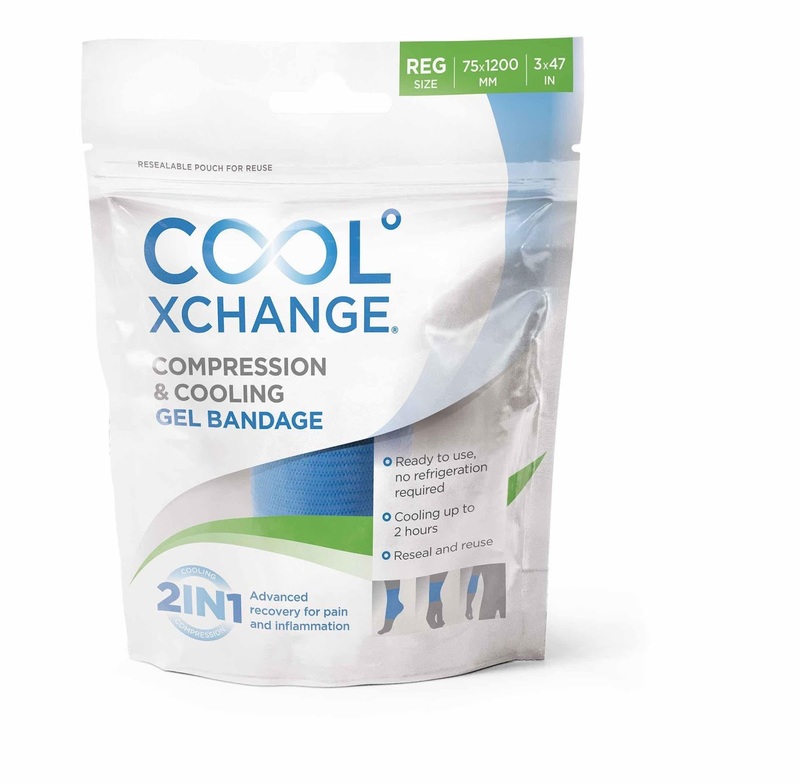 CoolXChange actually advances R.I.C.E methodology by combining the cooling and compression stages, designed to provide convenient and effective solution for the pain you may experience. 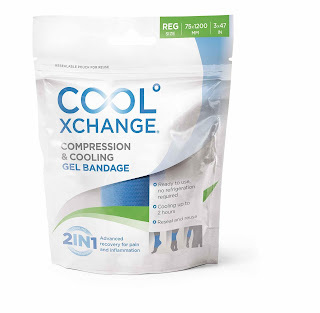 CoolXChange can be left on the skin for up to 2 hours and is instantly cooling without having to be refrigerated. Everyone! The whole family can use it from kids to adults. Little Miss. Niah of mine had a go at it and with true fitting words 'Mumma this is so, so cool'. Not only product wise is it cool but it is also cooling for your pain and inflammation. CoolXChange comes in two sizes - regular and large. CoolXChange can also be cut into size as needed. What size CoolXChange will you need? A regular sized CoolXChange is best used for arm areas being wrists, elbows, hands or lower body areas like the feet and ankles. A large sized CoolXChange is best used for the bigger areas of course being thighs, knees, groin, hamstrings, calves and upper body being back and shoulders. How much is CoolXChange and where to buy CoolXChange? At a super affordable and attractive price point of only $14.95 for regular or $24.95 for large. CoolXChange can be found at your major pharmacies like Chemist Warehouse, Priceline, Chemmart and other leading pharmacy stores. Being reusable for up to 6 months you are getting a whole lot of bang for your buck. I'm a big gym go-er as you may know if you follow along with me on instagram: @njtblogger and having issues with my knees the CoolXChange is a fitting thing for myself to use. At times when I train legs I can get sore knees afterwards so just taking some heat off of them by using the CoolXChange will be super helpful. In which follow along for two more coming features of CoolXChange as I take it through a few weeks of gym with me and then I'll be hitting you up with a giveaway from CoolXChange. Disclosure: This post has been made in a sponsored collaboration with CoolXChange. I received the above pictured CoolXChange sampling. All opinions expressed in this post are entirely my own.